Big Dreams rap sensation KO-C is reputed for being one of the fastest rappers in Cameroon. 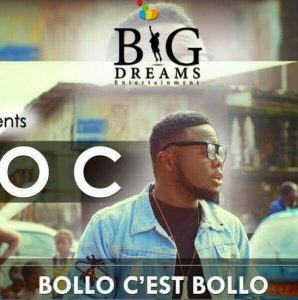 After “I love you” featuring his label mate Locko, the highly versatile artist has dropped a new tune titled “Bollo c’est bollo” produced by DJ Kriss. The song depicts how hard work leads to success. Video directed by Dr Nkeng Stephens and Ngongang .